NMB Bank has urged small to medium sized businesses to take advantage of the advisory and financial services its Small to Medium Enterprises (SME) Banking Unit offers them to help grow their enterprises. 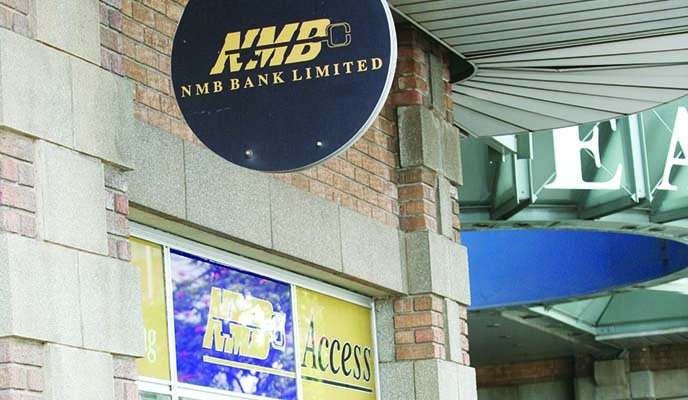 NMB SME Banking Unit head Erasmus Bhunu says the unit, which is situated at the bank's Plymouth Road branch in Southerton, Harare, offers advice and promotes partnerships and value chain activities, in addition to offering banking and financing facilities. "The NMB vision is to go beyond banking. We want to support the development and growth of SMEs," Mr Bhunu, said. He said the unit was able to link up SMEs with some of the bank's large corporate customers that might benefit from their services and to facilitate offtake arrangements. It has a dedicated women's desk where women business owners or managers can seek financial advice and support. The unit has conducted SME clinics in a number of centres, at which the bank, an accounting firm and representatives of an SME association have offered information and advice on banking and financing products, keeping of financial records and how to succeed in business. "Advice on solving financial challenges is one of the main things that our business clinics help SMEs with. They also assist them with market identification so that SMEs target the best market segment depending on their line of business," he said. Mr Bhunu said NMB Bank offers a wide range of solutions that promote the development of SMEs. These include financing working capital, assets and capital expenditure, as well as investment options. "Order finance schemes are backed by promissory notes or letters of undertaking from corporate offtakers of an SME's products," he said. "We discuss with our SME clients what services would best meet their needs or financing requirements. Where an SME is unable to meet the bank's financing requirements, advice is offered on alternative means of financing its operations or on what could be done to meet the bank's requirements. "We also help informal SMEs with advice on how to formalise their operations and point out to them the benefits of doing so," Mr Bhunu said. "Our advisory services are important. We have found over the years that SMEs want a strong relationship with a bank that offers more than just money. We see ourselves as a partner with our SME clients in their growth," he said. He said his unit is keen to help create market and value chain opportunities for SMEs. Linking SMEs with larger organisations was generally beneficial for both parties. It helped the SME expand its market, while the larger corporate could benefit from the services the smaller business offers. "At NMB we encourage SMEs to network with each other so that they share ideas as well as form groups and build muscle to compete with larger corporates," he said. Mr Bhunu added that the bank encourages SMEs to make use of NMB's interactive facilities such as Facebook. Some of their questions could be answered on the various online platforms that the bank runs, he said.